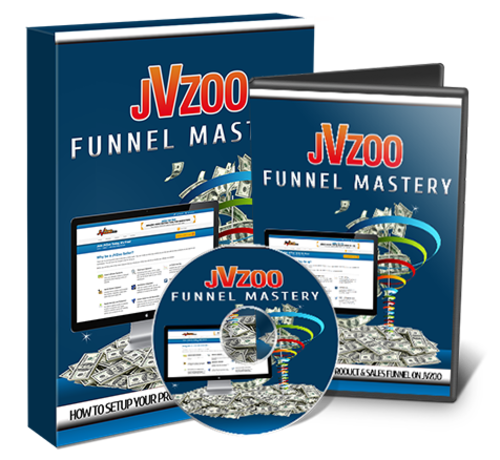 What Is JVZoo Funnel Mastery? Step By Step How To Setup Your Product & Sales Funnel On JVZoos Instant Payment Affiliate Platform! This Complete Video Walkthrough Will Show You How To Get Started Selling Your Products On JVZoo, Create Conversion-Crushing Sales Funnels And Get Paid INSTANTLY To Your PayPal Account! With JVZoo Funnel Mastery, youll have access to ten complete videos that show you how to setup, sell, deliver, and profit as a JVZoo product seller. The videos are split up into bite sized chunks... short and straight to the point, with actionable steps to get you started quickly within the next few hours! -How to properly setup your products on JVZoo, automate your sales funnels and get paid instantly! -The best way to map out your sales funnel and see first hand how your upsells, downsells & one time offers flow together before getting started. -Easy step-by-step walkthrough for setting up your sales page, thank you page, and downloadable files so you can automatically sell & deliver your products. -How to make even more money on the backend with targeted bonus offers and related cross-sells! -The different options you have available when setting up your product so you can decide which features youd like to implement, such as trial offers, dime sales, coupon codes, autoresponder integration and more! -How to get your JVZoo buy button & add it to your sales page to receive automated payments and ensure your stats are being tracked properly! -How to upload your files and get your product live on the web ready to make sales! -Exactly how to use the JVZoo Sales Funnel feature to easily connect your upsells, downsells and one time offers with no tech skills required! -Make even more money with the JV Partnership feature by offering additional commissions to your JV partners who can bring in more sales and share in the profits! -How to setup an Instant Payment affiliate program on JVZoo and utilize their built-in resources to boost your affiliate generated income!